The King arrived in 2003 with expectations that no one was sure he could come close to. The next Michael Jordan started when he was a kid in high school at the age of 14. The talk of a 14 year old being the next Jordan was completely off the wall to some, but watching him play something special was about to happen. Lebron James appeared on his first magazine cover as a Junior in SLAM in August 2002. The first time I watched him play high school basketball I became a fan. He had overall traits as a high school that no other player in history even thought about having. He was big, strong, fast, great passer, and explosive dunker. During his high school career. Lebron won 3 state championships, 2 Mr. Basketball USA, and 3 Ohio Mr. Basketball. Lebron was the most hyped player ever coming out of high school when he declared for the NBA draft. Scouts had him as the next MJ and Magic Johnson, which started some of the hate. This kid was getting comparisons like that when was only 18, and people thought no way he could live up to the hype. He came on the scene in 2003 and hasn't looked back. 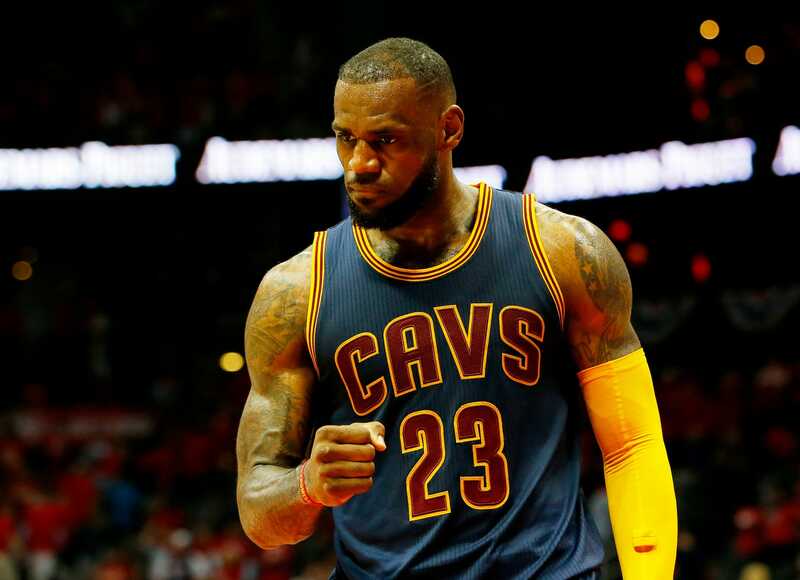 Lebron has had a full career within 14 seasons in the NBA, and he is not done yet. At 32 years old, he has 4 MVPs, 3 NBA Championships, 3 Finals MVPs, 13 All Star appearances, 7 Final appearances, and 10 time All-NBA First Team. Currently 8th in points, 14th in assist and 21st in steals in NBA history. The accolades for a guy who isn't done yet are impressive on there own. He has been to 6 straight Finals as of today and his numbers are still consistent. Lebron has proven he belongs in the conversation with the greats. Why do the haters hate? The hot topic right now are the things that Charles Barkley said and the response from him. The reality is this wasn't a one time thing. Charles Barkley is on record as calling him a punk, whiny, and non competitive. The comments were said to be about on the court and Lebron in defense took it off the court. Those remarks by Barkley are not on the court, the remarks take a shot at him the person not the player. Other hate seems to stem from being a so called "flopper". He is not the only flopper in the league or to ever play the game. The guy Lebron James "can never live up to" flopped in his career. Videos are out there that prove this as fact. The haters say the greats don't need help to win championships. Haters say that how could he want more pieces to a loaded salary cap roster. The reality is that the Warriors have 4 guys who play at All-Star level, which means the Cavaliers are outmatched. Cavaliers have 3 guys who play at All-Star level, and one of those guys are injured. He went on a rant about getting a play-maker and point guard. The haters say he needs to much and wants to much. In reality, the roster spot is sitting there empty when a solid player is out there. He didn't ask for a superstar, but the perception of it was taken like that. He ask to fill that last spot with someone who can create plays for teammates and themselves. The Cavaliers have room to sign someone to a minimum contract, so is he wrong for trying to improve the team? It is a proven fact that a guy who goes to 6 straight Finals knows what he is talking about. The team has to eventually compete with a star-studded Warriors team if they get that far. We like to compare Michael Jordan to Lebron but some of the comparisons are false. Michael Jordan needed help to win a championship, flopped, argued calls, lashed out at media, and wasn't the best role model. Lebron James is one of the best on and off court guys to every play the game. He is a social activist who has helped numerous people in the world. When Lebron James retires his statistical numbers may go down as the best stat line in the history of the NBA. The reality is the greatest of all time conversation will play itself out without the help of media and fans. The guy plays the game the right way and has been rewarded with all the accolades he has received. He deserves the respect of the fans and his peers because of the work he puts in. The King doesn't have much longer, take advantage of the greatness before its gone. Once in a generation stars don't come around often, so take advantage of watching The King at work.